Last week Disney Parks raised their ticket prices for 2013. 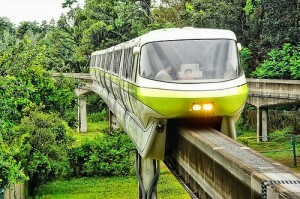 Over the past several years it hasn’t been unusual for ticket prices to go up each year, however 2013 has some surprises in store for travelers planning on a Disney vacation. All Disney theme parks in Florida and California have a new pricing structure. One of the most unique features put into play this year is that now a one day Park Ticket to the Magic Kingdom (at $95) costs more than a one day Park Ticket to Epcot, Hollywood Studios, or Animal Kingdom (all at $90). Typical traffic to the Magic Kingdom is much greater than to any of the other parks and it has recently been estimated that in 2012 the Magic Kingdom got nearly 6.5 Million more visitors than Epcot did. The Magic Kingdom price increase means that one day at there now costs a full $6 more than it was last year. These changes make a multi-day pass smarter than ever for Disney guests. The lastDIsney Park ticket price increase has occurred in June of 2012, which made most regular Disney Guests watching for the 2013 announcement. What was a little different this year is that they only gave one day notice before putting it into place. Keep that in mind as you plan for your 2014 Disney Trips. 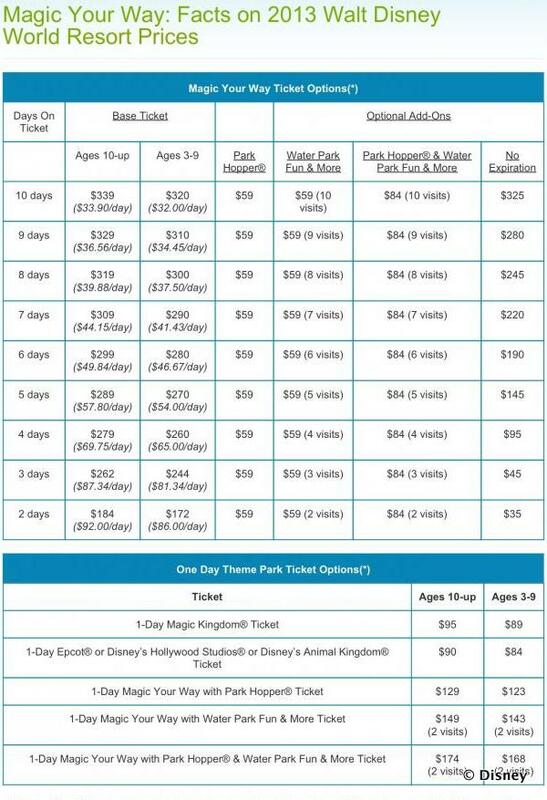 Ticket price increases are reflected in all categories of Disney Parks tickets and the basics can be seen in the graphic below. Find the full price information for the Walt Disney World Resort ticket pricing on the Magic Your Way: Facts on 2013 Walt Disney World Resort Price page. It may be worth noting here that Walt Disney World has also increased the cost to park your vehicle each day. The cost for a spot in the lot will now be $15 (or $16 camper/trailer) per day. This entry was posted on Thursday, June 6th, 2013 at 8:03 am	and is filed under Tickets. You can follow any responses to this entry through the RSS 2.0 feed. You can leave a response, or trackback from your own site.